Heavy duty foot switch with a latching action. It incorporates three separate single pole, double throw switches. One part of the switch has a normally closed contact while the other is normally open. 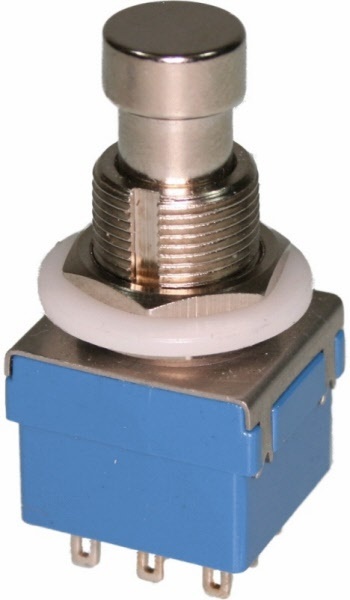 This pedal switch is ideal for Guitar Effects Pedals, Stomp boxes, etc. It has the feature for true bypass and battery supply.